Since September 2013, Dr. Gabriela D. Lemus has served as the President of Progressive Congress. During the first half of the Obama Administration, she served as Senior Advisor to Secretary of Labor Hilda L. Solis and Director of the Office of Public Engagement from July 2009 until August 2013. In January 2013, she was confirmed by the DC Council to sit on the Board of Trustees of the University of the District of Columbia (UDC) – an HBCU, the only urban Land-grant Institution in the nation and the District’s only public institution of higher learning. Prior to her appointment, she was the first woman to hold the position of Executive Director at the Labor Council for Latin American Advancement (LCLAA) from 2007-2009, and the first woman to chair the National Hispanic Leadership Agenda (NHLA) from 2008-2009. During her tenure at LCLAA, she co-founded the National Latino Coalition on Climate Change (NLCCC) and was a founding Commissioner for the Commission to Engage African-Americans on Climate Change (CEAAC). She served 3-year terms on the advisory boards of both the Washington Office on Latin America (WOLA) from 2005-2008 and the United States Labor Education in the Americas Project (USLEAP) from 2006-2009. 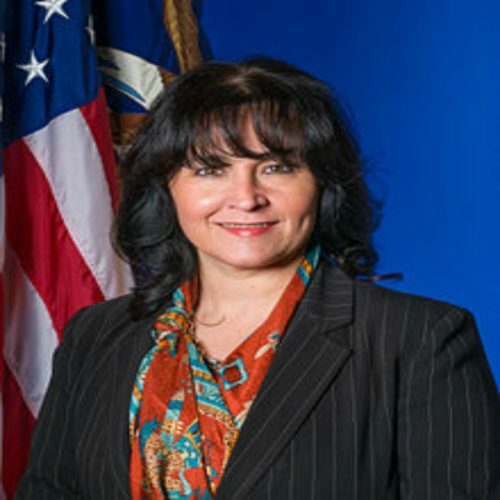 From 2000-2007, she served as Director of Policy and Legislation at the League of United Latin American Citizens (LULAC) where she launched the LULAC Democracy Initiative – a national Hispanic civic participation campaign and founded Latinos for a Secure Retirement – a national campaign to preserve the Social Security safety net. Dr. Lemus has appeared in both English and Spanish-language media outlets, including CNN, CNN en Español, C-SPAN, MSNBC, NBC’s Hardball, Fox’s Neil Cavuto, Univision and NBC-Telemundo among others. She received her doctorate in International Relations from the University of Miami in 1998.